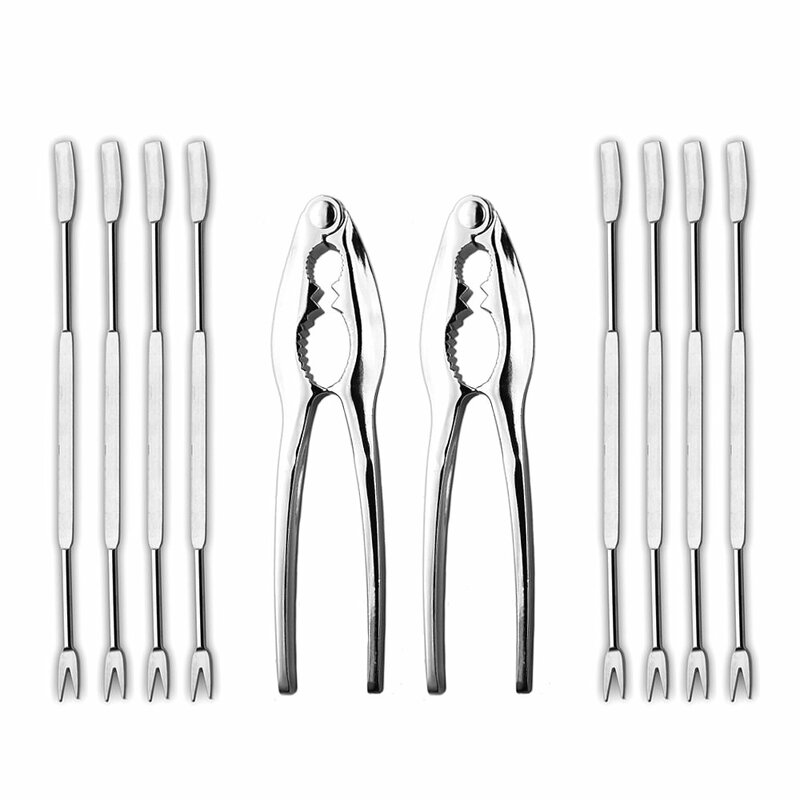 It is very easy to be left wondering what and what should accompany your crab legs because of the simplicity in which they come. Crab legs do not always require any heavy cooking procedures as it is a basic seafood that brings a lot of flavor on its own. But that shouldn’t stop us from exploring some recipes with crab legs; caution is always the key to perfect recipes. It is a good way to know just how far you can take your seafood journey, although sometimes you get to the point where you draw the line and say “I think I over did it,” but with the recipes, we have out today, that line isn’t coming close anytime soon. We are going to look at different ways crabs legs can be cooked, and ways that the crab taste remains intact and prominent, together with some complimenting side pairs. There are two main ways you can get your crabs, either pre-frozen or fresh. The two types of crab legs are good but I prefer going for the fresh crabs, this is because, in pre-frozen crabs, the freshness isn’t always as pronounced as having it fresh from the catch. When picking crab legs, inspect them properly for funny odours. The crab legs should be bright red in colour and full of weight. 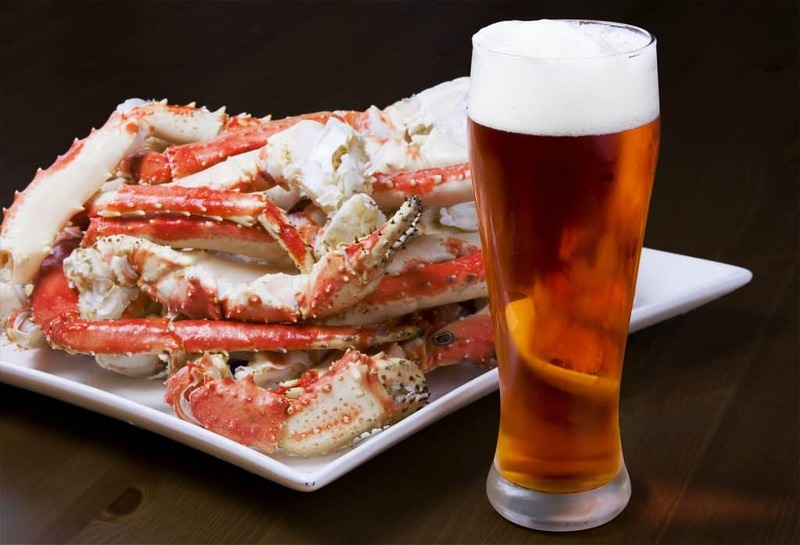 The downside to fresh crab legs as against the pre-pasteurized ones is the storage period, if you intend keeping your crab legs for an extended period of time or you wouldn’t be making use of it immediately, the pre-pasteurized ones are better options. We know boiling your crab legs is easy but roasting is also quite straight forward and if you have a combination of seasonings to roast with it like in this rosemary roasted crabs recipe by Cynthia Nims then be ready for a lovely dinner. The scent of the spices fills the air and penetrates the crabs so well; you can almost see them enter it. The lemon garnishes look beautiful as well, but you can come up with other garnishes for your crab legs, sprinkles of sliced baby spinach would also not be a bad idea. 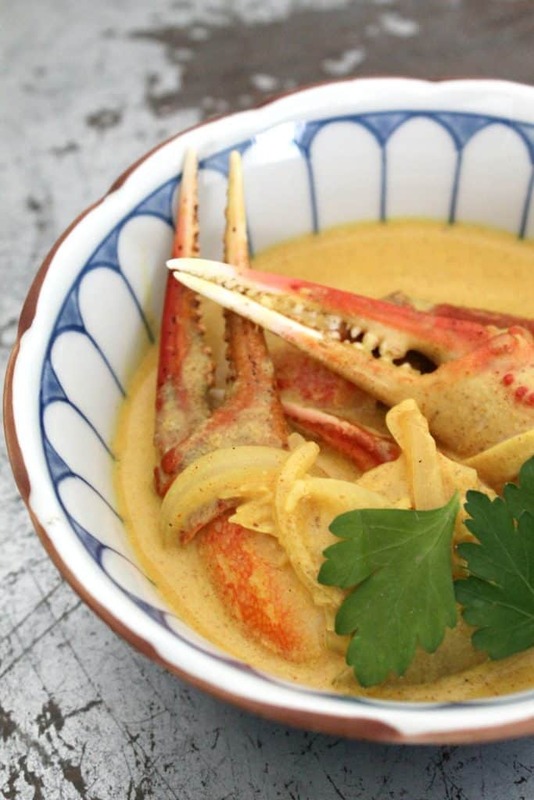 When dealing with crab legs, you can’t get tired of having curry sauce, there are different ways of making this sauce with crab legs and claws, and I have tried a couple of them myself, but I like this one by cooking with books. Instead of using the crab claws, make use of crab legs, and you are on track. The recipe is very undemanding and the entire cooking time shouldn’t be more than 20 minutes on the average, it is best served hot, or immediately you are through with preparation. If you are wondering the difference between snow crabs and king crabs then here it is, snow crabs have legs that are thinner than that of a king crab, but they still hold a considerable amount of flesh within them, they are softer and are just right for steaming and soups. This brings us to this steamed crab legs recipe by My Style Recipe, it is simple and well flavored with the rich red colour you get after steaming. To steam your crab legs, you will need a steamer, and the rest is as basic as the recipe explains it. Be sure to watch the quantity of water used for steaming. Juts imagine the look of your freshly made steaming crab leg herbs sauce with some excellent homemade honey cornbread, hungry yet? So am I, this recipe by I heart Recipes includes Jalapeno in the ingredients and it was just appealing. The jalapeno made the cornbread spicy which I totally prefer to having just plain corn bread, and if you are making crab legs which would involve some sauce, this will go just fine. When you are done baking your cornbread, you can cut them into smaller sizes and arrange them around your crab legs to serve. Of course baked potatoes are fantastic with crab legs, having a hearty amount of baked potatoes with some pieces of crab legs will do for one meal, even if you have some heavy eaters around. If you are going to be preparing for lots of guests then this mini loaded twice baked potatoes by Domestically Blissful don’t seem so bad for you, you can always make them into bigger sizes if you will be cooking for few people instead. I also like how colourful she made the dressing, very pleasing. This YouTube video took it to a whole new level by making use of eggs; she made the yolks a bit runny with a very short preparation time. Steamed artichokes are another well-placed side dish for your crab legs, and you can get a recipe from Tastes Lovely. Artichokes could be intimidating to prepare at first, but practice they say makes perfect, they are one of my favorite vegetables because of the nutritional value they hold which are capable of fighting off lots of diseases. With a plate of crab legs and steamed artichokes be assured you are getting a load of vitamins from that meal, make enough sauce with your crab legs to use along with it after steaming. 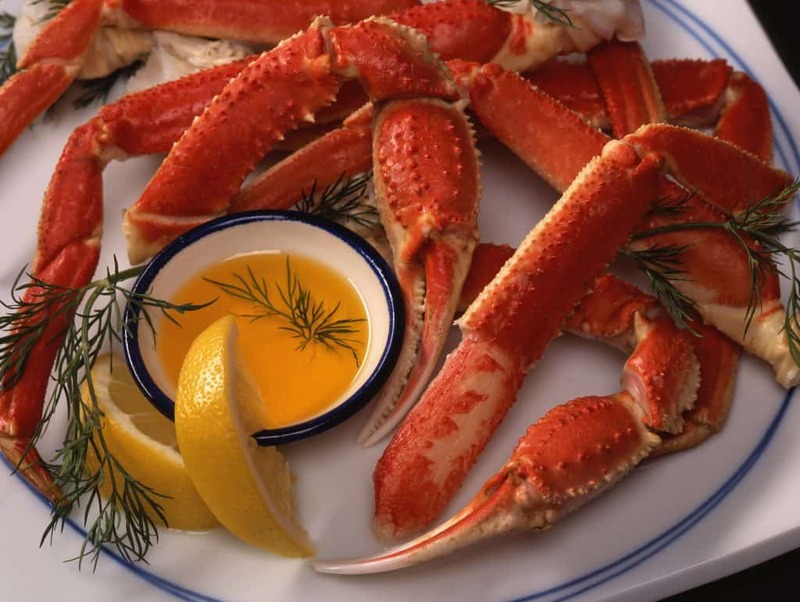 Crab legs are amazing sea foods which have their natural taste that is why people find it easier just to boil or steam them, but we can also use crab legs for soups, chowders, and many more techniques. You can cook them in many ways and still preserve their freshness and taste, all you have to do is use ingredients that are not an overkill and watch the application of extra ingredients. Follow this guide by Delishably on how to know what crab to use for a specific dish and how to identify them at a glance.